As the JT reader will hear it, the British piano trio GoGo Penguin descends from acoustic jazz groups with pop tendencies-think the Bad Plus, e.s.t., certain ECM discs from the past couple decades, even the Brad Mehldau Trio in rock-interpreter mode. But whereas those bands can be discussed within a jazz-rooted narrative, GoGo Penguin amplifies its forebears’ crossover attributes and does away with postbop and the avant-garde. (As for swing, dream on.) But this isn’t a dismissal, because if your prism of choice is piano rock or especially EDM, there are rewards on Man Made Object, GoGo Penguin’s third full-length and first for Blue Note. When dance music, even the intellectual sort, is functioning well, it works in your memory like physical terrain or scent or weather-a deep, durable general impression, and that’s what this band delivers. More gifted with mood than melody, pianist Chris Illingworth deals in the kind of melodrama whose hooks defy cynicism. Drummer Rob Turner is as unflagging as the computer programs he used to compose a good deal of this music, but nuanced enough in his attack to maintain the integrity of a road-ready act. 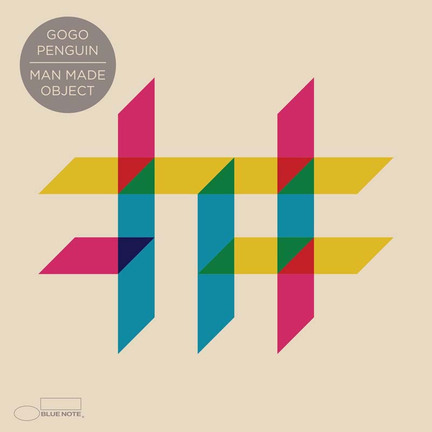 (GoGo Penguin doesn’t feel like Dawn of Midi or Nik Bärtsch’s Ronin, piano units that can trick you with their spot-on impersonation of laptop minimalism.) 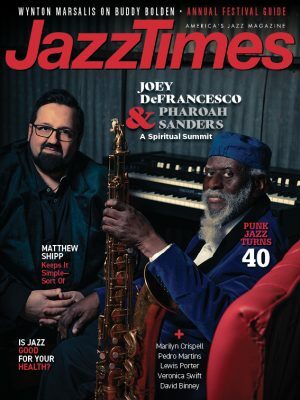 And double-bassist Nick Blacka, high in this strong, loud mix and strikingly woody in tone, evokes a rockabilly anchor, with welcome flashes of arco and pizzicato lyricism. GoGo Penguin will sooner lead jazz fans to Paul Oakenfold than it will electronica devotees to Paul Bley, but so it goes.